Church guests (visitors) should come to your church regularly since members naturally invite friends and family to attend with them. People are also moving into your community who are church seekers. And of course, there are those who haven’t gone to church in a long time and because of a transition in their lives (funeral, birth, marriage, problems) they decide they need fellowship and leadership from a church. Most guests search for your website before they visit. Have an obvious web link. Don’t make it difficult for a guest; ensure they can easily (on one page) discover the information they need. This can be a link in the main menu (i.e. New?, First Time? Guest, etc), under the About tab, or on the home page. Make sure it’s not buried too deep! On the Guest page be simple, scannable, and illustrative. Since your content should be 50-75 words, you’ll need to use pictures, videos and links to demonstrate all the church has to offer. Engage your guests so they want to stay longer on your site. 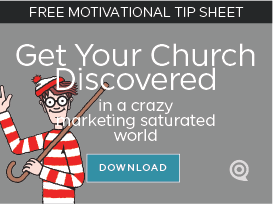 Communicate your church brand. Know who you are and the emotion you want to portray through your brand. Use that tone on your website and especially on the Guest page. Know your church’s big benefit (what you should be known for) and emphasize it’s importance. 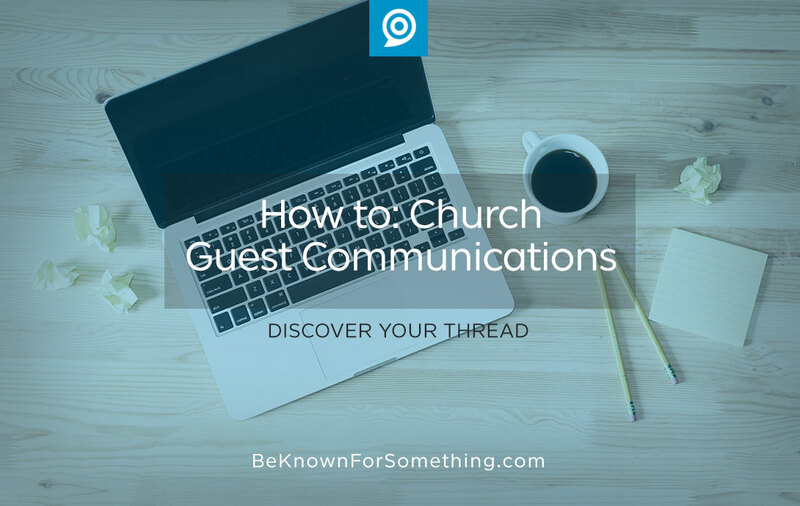 The page should sound as friendly and informative as your church feels when they attend. Show them around. Imagine a person entering a retail store. They look scared and they’re not sure where to look for what they want. The same thing happens at church. That’s why they go to your website first — to find an insider look to make them feel comfortable. Be friendly and show them around as quickly as possible on the page. Make it a portal page that gives overview information with links to more specific areas. Critical information? Services, events, and programs that would interest 80% of the members (your top tier communications); times, what people wear, style of the church, group size, parking tips, kid’s locations, and restrooms. A 1-minute video can show most of this. Give them the next step. Once you show the guests around giving them general information, don’t leave them wondering what the next step should be. Tell them. Imagine what most Guests would want. You know EVERYTHING that the church has to offer, so do the heavy lifting! Should they check out your Pastor’s video? Click to see how you’re helping the community? Or maybe a link to your family programming? Don’t know? Ask new people in your church what they were looking for when they first came to your site. The general rule for church communications? Advocate for your audience. Put yourself in their shoes. Haven’t visited a new church lately so you can identify as a church guest? Do it this Sunday. It’s difficult to advocate for an audience unless you can understand them. What else could you do? Hire a mystery visitor to reveal their findings. I guarantee it’ll be eye-opening.